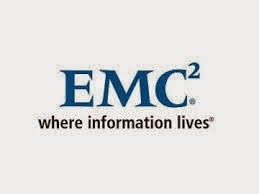 EMC ia Leading provider of IT solution and Hardware solutions to promote data back up and accelerate the journey to the cloud computing Now they are Hiring Freshers as Associate System Engineer on this month Feb 2015. Salary : As Per The Company Norms. Candidates who want to work in EMC corporation should complete B.E / B.Tech / M.E / M.Tech degree in any recognized university. objectives and engages, leverages corporate resources, ability, budget, and personal as appropriate. Assist the sales team to develop and implement specific account penetration strategy, produce account specific product ans service and sales plans. Leverages knowledge of competitive solutions to effectively address and dispel customer objections to EMC solutions, and train the account team. Executes technical sales callsConfigures and documents EMC software, hardware and service solutions to meet customer and sales objectives.